The 1900 census indicates that Smith was born in Chattanooga, Tennessee, in July 1892, a date provided by her mother. The 1910 census gave her age as 16. 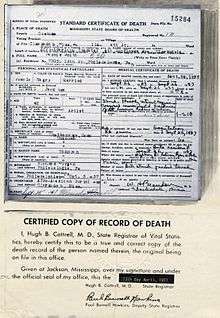 A birth date of April 15, 1894, appears on subsequent documents and was observed as her birthday by the Smith family. The 1870 and 1880 censuses report three older half-siblings, but later interviews with Smith's family and contemporaries did not mention them among her siblings. To earn money for their impoverished household, Smith and her brother Andrew began busking on the streets of Chattanooga; she sang and danced, and he accompanied her on the guitar. Their favorite location was in front of the White Elephant Saloon at Thirteenth and Elm streets, in the heart of the city's African-American community. In 1904, her oldest brother, Clarence, left home, joining a small traveling troupe owned by Moses Stokes. "If Bessie had been old enough, she would have gone with him," said Clarence's widow, Maud. "That's why he left without telling her, but Clarence told me she was ready, even then. Of course, she was only a child." In 1912, Clarence returned to Chattanooga with the Stokes troupe and arranged an audition for his sister with the managers of the troupe, Lonnie and Cora Fisher. She was hired as a dancer rather than a singer, because the company already included the well-known singer Ma Rainey. Smith eventually moved on to performing in various chorus lines, making the "81" Theater in Atlanta her home base. 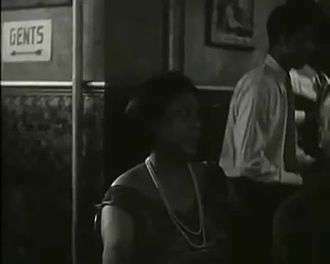 She also performed in shows on the black-owned (Theater Owners Booking Association) (T.O.B.A.) circuit and became its biggest star after she signed a recording contract with Columbia Records. Smith's recording career began in 1923. She was then living in Philadelphia, where she met Jack Gee, a security guard, whom she married on June 7, 1923, just as her first record was being released. During the marriage—a stormy one, with infidelity by both partners—Smith became the highest-paid black entertainer of the day, heading her own shows, which sometimes featured as many as 40 troupers, and touring in her own custom-built railroad car. Gee was impressed by the money but never adjusted to show business life or to Smith's bisexuality. In 1929, when she learned of his affair with another singer, Gertrude Saunders, Smith ended the relationship, although neither of them sought a divorce. In 1920, sales of over 100,000 copies of "Crazy Blues," recorded for Okeh Records by the singer Mamie Smith (no relation), pointed to a new market. The recording industry had not directed its product to blacks, but the success of the record led to a search for female blues singers. 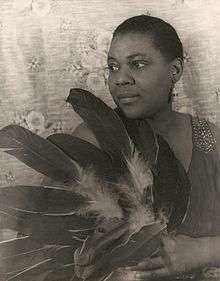 Bessie Smith was signed to Columbia Records in 1923 by Frank Walker, a talent agent who had seen her perform years earlier. Her first session for Columbia was on February 15, 1923. For most of 1923, her records were issued on Columbia's regular A-series. When the company established a "race records" series, Smith's "Cemetery Blues" (September 26, 1923) was the first issued. Both sides of her first record, "Downhearted Blues" backed with "Gulf Coast Blues", were hits (an earlier recording of "Downhearted Blues" by its co-writer Alberta Hunter had previously been released by Paramount Records). Smith became a headliner on the T.O.B.A. circuit and rose to become its top attraction in the 1920s. Working a heavy theater schedule during the winter and performing in tent shows the rest of the year (eventually traveling in her own railroad car), Smith became the highest-paid black entertainer of her day. Columbia nicknamed her "Queen of the Blues," but the press soon upgraded her title to "Empress of the Blues". Smith had a strong contralto voice, which recorded well from her first session, which was conducted when recordings were made acoustically. With the advent of electrical recording (her first electrical recording was "Cake Walking Babies [From Home]", recorded on May 5, 1925), the sheer power of her voice was even more evident. She was also able to benefit from the new technology of radio broadcasting, even on stations in the segregated South. For example, after giving a concert for a white-only audience at a theater in Memphis, Tennessee, in October 1923, she then performed a late-night concert on station WMC, which was well received by the radio audience. Smith's career was cut short by the Great Depression, which nearly put the recording industry out of business, and the advent of "talkies", which spelled the end of vaudeville. She never stopped performing, however. The days of elaborate vaudeville shows were over, but Smith continued touring and occasionally sang in clubs. In 1929, she appeared in a Broadway musical, Pansy. The play was a flop; top critics said she was its only asset. On September 26, 1937, Smith was critically injured in a car crash while traveling along U.S. Route 61 between Memphis, Tennessee, and Clarksdale, Mississippi. Her lover, Richard Morgan, was driving and misjudged the speed of a slow-moving truck ahead of him. Tire marks at the scene suggested that Morgan tried to avoid the truck by driving around its left side, but he hit the rear of the truck side-on at high speed. The tailgate of the truck sheared off the wooden roof of Smith's old Packard. Smith, who was in the passenger seat, probably with her right arm or elbow out the window, took the full brunt of the impact. Morgan escaped without injuries. The first people on the scene were a Memphis surgeon, Dr. Hugh Smith (no relation), and his fishing partner, Henry Broughton. In the early 1970s, Hugh Smith gave a detailed account of his experience to Bessie's biographer Chris Albertson. This is the most reliable eyewitness testimony about the events surrounding her death. After stopping at the accident scene, Hugh Smith examined the singer, who was lying in the middle of the road with obviously severe injuries. He estimated she had lost about a half pint of blood and immediately noted a major traumatic injury to her right arm; it had been almost completely severed at the elbow. He stated that this injury alone did not cause her death. Although the light was poor, he observed only minor head injuries. He attributed her death to extensive and severe crush injuries to the entire right side of her body, consistent with a sideswipe collision. Broughton and Smith moved the singer to the shoulder of the road. Smith dressed her arm injury with a clean handkerchief and asked Broughton to go to a house about 500 feet off the road to call an ambulance. The young couple in the new car did not have life-threatening injuries. Two ambulances arrived on the scene from Clarksdale, one from the black hospital, summoned by Broughton, the other from the white hospital, acting on a report from the truck driver, who had not seen the accident victims. Bessie Smith was taken to Clarksdale's G. T. Thomas Afro-American Hospital, where her right arm was amputated. She died that morning without regaining consciousness. After her death, an often repeated but now discredited story emerged that she had died as a result of having been refused admission to a whites-only hospital in Clarksdale. The jazz writer and producer John Hammond gave this account in an article in the November 1937 issue of Down Beat magazine. The circumstances of Smith's death and the rumor promoted by Hammond formed the basis for Edward Albee's 1959 one-act play The Death of Bessie Smith. "The Bessie Smith ambulance would not have gone to a white hospital, you can forget that," Hugh Smith told Albertson. "Down in the Deep South cotton country, no ambulance driver, or white driver, would even have thought of putting a colored person off in a hospital for white folks." Dory Previn wrote a song about Joplin and the tombstone, "Stone for Bessie Smith", on her album Mythical Kings and Iguanas. ↑ Joel Whitburn's methodology for creating pre-1940s chart positions has been criticised, and those listed here should not be taken as definitive. 2. In 2015 HBO made a film commemorating the life of Smith. ↑ Jasen, David A.; Jones, Gene (September 1998). Spreadin' Rhythm Around: Black Popular Songwriters, 1880–1930. Schirmer Books. p. 289. ISBN 978-0-02-864742-5. ↑ "Bessie Smith: Controversy". SparkNotes. 1937-10-04. Retrieved 2015-08-30. ↑ 1910 US Census, Chattanooga, Hamilton, Tennessee, Ward 7, Enumeration District 0065, Sheet 2B, Family #48. 1 2 3 Albertson, Chris (2003). Bessie (revised and expanded ed.). New Haven: Yale University Press. ISBN 0-300-09902-9. ↑ Albertson, 2003, p. 11. ↑ Albertson, 2003, pp. 14–15. ↑ Lieb, Sandra R. (1981). 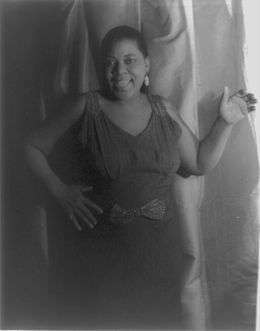 Mother of the Blues: A Study of Ma Rainey. University of Massachusetts Press. p. 89. ISBN 0870233947, 9780870233944. ↑ Oliver, Paul. "Bessie Smith". In Kernfield, Barry, ed. (2002). The New Grove Dictionary of Jazz. 2nd ed. Vol. 3. London: MacMillan. p. 604. ↑ Albertson, 2003, p. 80. ↑ Albertson, Chris. CD booklet. Bessie Smith, The Complete Recordings Vol. 2. Columbia COL 468767 2. ↑ “Hit on Radio”, Chicago Defender, October 6, 1923, p. 8. ↑ Hammond, John. John Hammond on Record. p. 120. ↑ Albertson, Bessie, pp. 224–225. ↑ "Blues Legend Bessie Smith Dead 50 Years". Schenectady Gazette. 26 September 1987. Retrieved 16 November 2010. ↑ Albertson, Chris (1972). 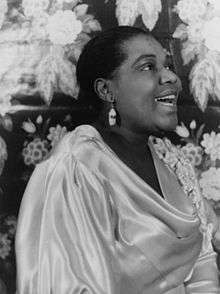 Bessie: Empress of the Blues. London: Sphere Books. pp. 192–195. ISBN 0-300-09902-9. ↑ Albertson (1972), p. 195. ↑ Love, Spencie (1997). One Blood: The Death and Resurrection of Charles R. Drew. North Carolina: University of North Carolina Press. p. 67. ISBN 978-0-8078-4682-7. ↑ Albertson, Chris (1972). Bessie: Empress of the Blues. London: Sphere Books. p. 196. ISBN 0-300-09902-9. ↑ Albertson, Bessie, pp. 2–5, 277. ↑ "Historical Marker Placed on Mississippi Blues Trail". Pittsburgh Post-Gazette. Associated Press. January 25, 2007. Retrieved 2007-02-09. ↑ Whitburn, Joel (1986). Pop Memories: 1890-1954. Record Research. ISBN 0-89820-083-0. ↑ "Joel Whitburn Criticism: Chart Fabrication, Misrepresentation of Sources, Cherry Picking". Songbook. Retrieved 15 July 2015. ↑ "Grammy Hall of Fame". Grammy.org. Archived from the original on 2015-07-07. Retrieved 2015-08-30. ↑ Archived February 8, 2007, at the Wayback Machine. ↑ "100 Best Jazz Recordings". Telegraph. Retrieved 2015-08-30. ↑ "'Bessie' Starring Queen Latifah to Premiere This Spring on HBO – Ratings". TVbytheNumbers.Zap2it.com. Retrieved 2015-08-30. Albertson, Chris (1991). Liner notes, Bessie Smith: The Complete Recordings, Volumes 1 – 5. Sony Music Entertainment. Albertson, Chris (2003). Bessie (revised and expanded ed.). New Haven: Yale University Press. ISBN 0-300-09902-9. Brooks, Edward, The Bessie Smith Companion: A Critical and Detailed Appreciation of the Recordings, New York: Da Capo Press, 1982. ISBN 0-306-76202-1. Grimes, Sara (2000). Backwaterblues: In Search of Bessie Smith. Amherst, Massachusetts: Rose Island Pub. ISBN 0-9707089-0-4.